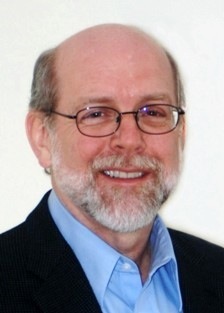 My guest today is Beau Keyte, consultant, trainer, and coach helping organizations in a range of industries to use lean tools and techniques, and to develop self-sufficient thinking that challenges work and management processes, improves organizational performance and alignment, and sustains culture change. Beau coauthored the Shingo-prize winning book The Complete Lean Enterprise and more recently, Perfecting Patient Journeys. His website is at Keyte Group. I was having a conversation last week with my nephew. He has been trying to get a permanent teaching position in the Chicago school system for some time. He’s completed the minimum amount of education to allow him to teach. And, while he is successfully substituting at several schools, he is consistently running into barriers in getting permanent positions in these same schools. The ”entry bar” is constantly being raised. My observation: he is always trying to catch up in order to succeed as opposed to getting ahead of the “entry bar” and not having to worry about it. It’s like he is just one of the greyhounds in the race, and the rabbit (in this case, a permanent teaching position) is always out of reach. Are you in the same position? Do you see your organization as the greyhound or the rabbit? It’s been my observation that the greyhounds have good people attempting to wade through broken processes to support their markets and missions. As such, our significant investment in human resources is spent “doing the same dumb things we’ve always done” (as opined by a client of mine). We have a limited amount of human capacity in our organizations: how are you engaging your organization in such a way as to free up 10%, 20%, 30% of your collective time to focus on becoming the rabbit? We all have complex problems with many causes and barriers in our work and management processes. It’s possible to borrow some deliberate thinking from our scientific community to change to the fast, adaptive behaviors that rabbits exhibit and our organizations need to have. A chemist, for example, attempts to find a new chemical compound that has never existed before. He/she doesn’t assume that the first experiment will be successful (in fact, most experiments fail to achieve the goal), but DOES assume that a properly designed experiment will have something to learn embedded in the result. The chemist then builds the next experiment on the learning of the previous experiment. This cycle of learning continues until the goal is achieved. There is a subtle difference in the world of experimentation: an experiment that fails is useful if there is something to learn from it. Failure leads to learning; learning leads to achievement. What’s a good way for your organization to experiment and “learn your way” to grow into becoming an organization with better outcomes? While it’s obvious to most that it’s possible to experiment on work processes, it’s also possible (and critical) to experiment on management processes: I had a recent conversation with a CEO who was frustrated with his organization’s reliance on “managing by committee.” Our conversation quickly turned to what experiments he was willing to create to see if another management style has better outcomes. He is now engaged in scientific thinking to achieve his purpose. There’s a little bit of scientist in all of us. What experiments are you willing to try to become the rabbit?